Master pointe shoe fitter Josephine Lee of the California-based The Pointe Shop touches base with Ballet West principal Beckanne Sisk to hear all about her pointe shoe hacks, from Jet Glue to her preference for extra tight elastics. Plus, what she wears instead of toe pads (hint: it's paper towel). Josephine Lee outside Ballet West Academy. Photo Courtesy Lee. Earlier this summer, we followed master pointe shoe fitter Josephine Lee of the California-based The Pointe Shop as she made her on a pointe shoe fitting tour around the West Coast and California. Now she's back, this time on a 45-day tour from California to Chicago, educating students on all things pointe shoes and helping them to find their perfect fit. Lee's making stops at top ballet companies and academies across the country, exploring schools and getting know academy directors. Below, check out Lee's stop at Ballet West. She touches base with academy director Peter Merz. Stay tuned for more! New San Francisco Ballet principal Wei Wang in Helgi Tomasson's Concerto Grosso. Photo by Erik Tomasson, Courtesy SFB. Promotions season is well underway. 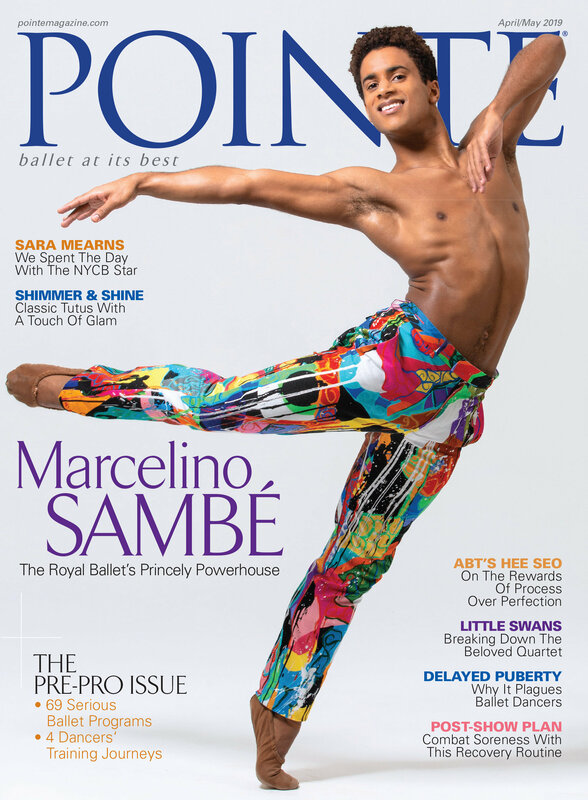 Earlier this spring we covered exciting changes at Boston Ballet and Pennsylvania Ballet; now we're back with news from six more companies—English National Ballet, San Francisco Ballet, National Ballet of Canada, Miami City Ballet, Ballet West and Pittsburgh Ballet Theatre. (Stay tuned throughout the summer as additional companies release their updated rosters.) Here's who's doing a happy dance. Artists of Ballet West. Photo by Beau Pearson, Courtesy Ballet West. This week American Ballet Theatre moves into the Metropolitan Opera House for their annual 8-week season. From Alexei Ratmansky's new Harlequinade to the world premiere of AFTERITE by Wayne McGregor, this season is packed. But week one opens with a classic: Giselle. Though a number of ABT's most celebrated dancers will have their turn in the lead roles this week, the May 18th performance will be danced by guest star Natalia Osipova in the title role opposite ABT principal David Hallberg as Albrecht. Photo by Kyle Froman for Pointe. Much of what Ballet West soloist Katlyn Addison carries around in her (two) dance bags has been repurposed. She wraps her toes in black hockey tape which her brother, a National Hockey League player in their home country of Canada, ships to her, and she keeps her bobby pins in an old glass salsa jar. "I like to reuse things," says Addison. She totes everything around in shopping bags (one for pointe shoes and sewing tools, one for everything else) from the clothing store Free People. Nathan Chen with artists of Ballet West in "Sleeping Beauty" (2011). Photo by Luke Isley, Courtesy Ballet West. From ages 8 to 14, Nathan Chen trained at the Ballet West Academy and often performed alongside the company. Now, he is well on his way to becoming a household name. Earlier this month, Chen won the national title at the U.S. Figure Skating Championships, and he'll be heading to the Olympics in Pyeongchang, South Korea, as a member of the U.S. Figure Skating Team in February. If that's not impressive enough, you can now pop into your local grocery store and pick up a box of Kellogg's Corn Flakes with his photo on the front. Chen is known for his exceptional musicality and artistry on the ice and has broken records for cleanly landing five quadruple jumps in one program. "My training and ballet background definitely gives me the competitive edge," Chen said to an NBC News correspondent last fall. We touched base with Peter Christie, one of Chen's former instructors at the Ballet West Academy and a supplemental coach on the ice, to get a better sense of how ballet influences the record-breaking 18-year-old figure skater.